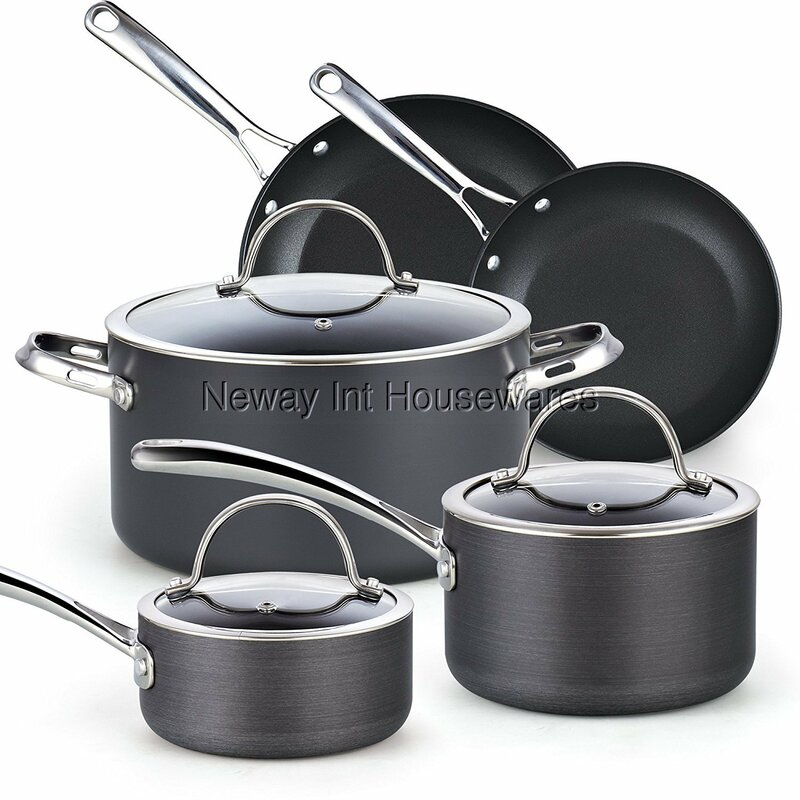 The Cooks Standard 8-Piece Hard Anodized Nonstick Cookware Set, Black includes: 1 and 2 quart sauce pans with lids, 6 quart stockpot with lid, and 9.5 and 11 inch saute/fry pan. Cookware has a hard anodized surface that is durable and harder than stainless steel. The heavy gauge aluminum core provides even heat distribution and prevents hot spots. Nonstick delivers exceptional performance, makes cleaning easy, and allows for healthier cooking. Lids are tempered glass with steam vent that is protected by a stainless steel rim. Stainless steel handles stay cool and are riveted for strength. Not Induction compatible. Works on gas, electric, glass, ceramic, etc. Oven safe to 500F, glass lid to 350F. Dishwasher safe, hand wash recommended.